In early 1811, the French were engaged in a no-win siege against the Allies in the port of Cádiz. The French under Marshal Victor were not strong enough to reduce the port without a French sea blockade. After Soult drew off 8,000 of Victor’s men for his invasion of Extremadura, the Allies saw an opportunity to raise the French siege using their sea power to land 14,000 British, Spanish and Portuguese troops on the coast south of Cádiz. 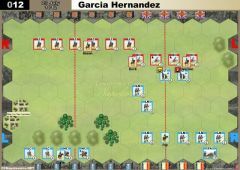 If Victor remained in his siege lines, he would be trapped between Cádiz and the relief force. If he chose to fight the relief force, it would give the Cádiz garrison the opportunity to sortie and destroy the siege lines. Victor soon learned of the Allied approach. 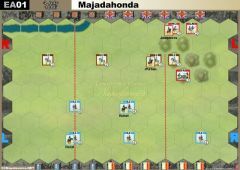 He hoped to ambush the Allied column as they advanced, but the Allies advanced in strength and Graham’s British division occupied Barrosa Ridge. Spanish General la Peña gave him a second opportunity, ordering the Spanish and British north now that communication had been established with Cádiz. A rearguard of several Spanish battalions remained on Barrosa Ridge. 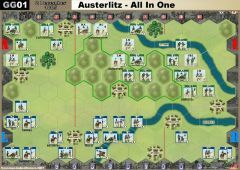 Victor jumped at the opportunity and ordered Ruffin’s division to attack the ridge with Leval’s division advancing on his right. 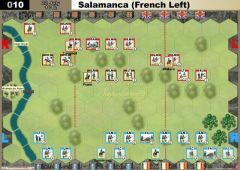 At the first sight of the French, the Spanish battalions bolted. Graham received news that the French were attacking and chose to disobey orders. 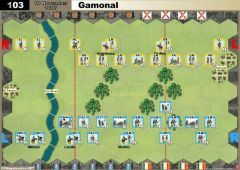 While la Peña entrenched, Graham sent Dilkes’ Guards brigade to retake the ridge and Wheatley’s brigade to attack Leval. 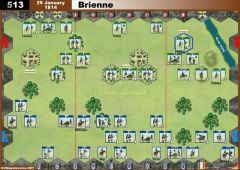 Dilkes’ brigade came into contact with Ruffin’s French battalions of infantry and grenadiers still advancing in column. 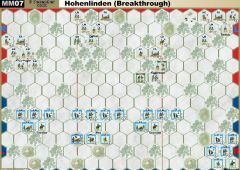 The two forces engaged in a murderous firefight with British line firepower gaining the ascendancy. The gallant Ruffin was killed and his division retreated off the ridge. Meanwhile Wheatley’s brigade advanced against Leval’s division. 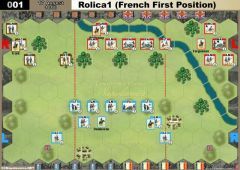 Another firefight between a British line and French columns resulted in French defeat. The Allies gave away the victory. 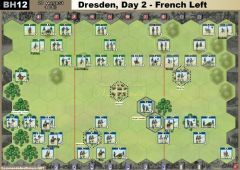 Graham urged a new round of attacks to unhinge the French siege line – exactly what Victor feared would happen. General la Peña instead ordered a withdrawal back into Cádiz. Marshal Victor could not believe his good fortune and immediately re-established his siege lines. Other than confirming the valor of the soldiers on both sides, the battle had been a colossal waste of life. • The Spanish Guerrilla Action rule is not in effect. • The River is not fordable. In all of my games, most battles was indeed on the section with the hills. 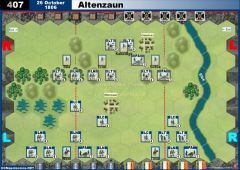 Therefore the Allies should take his advantage on this section, with a fast support of the british behind, before the French can bring up more units from there backside to this section. what to do with the Spanish seems to be the key for the scenario. 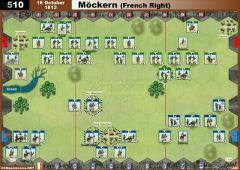 In many ways they are a thorn in the side for the British, being weak offensively, a hinderance to moving British units though them, and cheaper Victory Banners for the French. 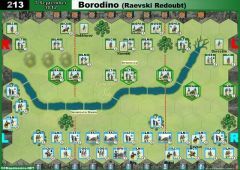 I played this scenario and two Bayonet Charge cards ensured a bloody fight for the hill, claiming a general from each side!